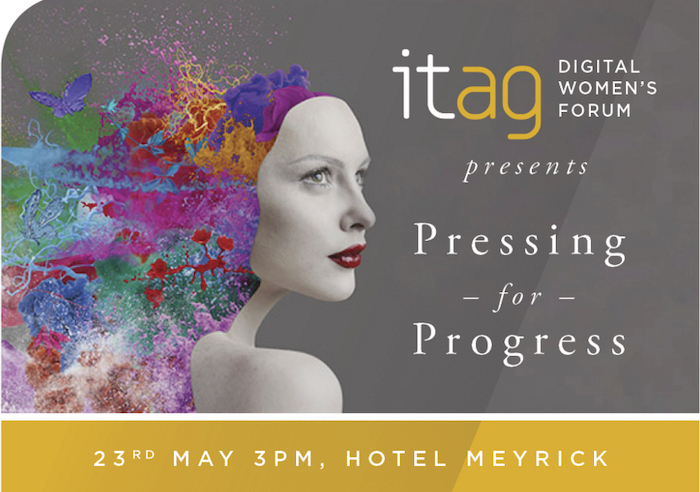 Please join ITAG's for Digital Women's Afternoon Tea at Hotel Meyrick on 23rd May as we celebrate the evolution of women in technology. This years theme is 'Pressing for Progress' in line with International Women's Day 2018. Now more than ever, there's a strong call-to-action to press forward and progress gender parity. You'll hear a little about each one’s journey in their respective industries and touch on their view of what it means in today’s climate to press for progress. We’ll open it up at the end for Q&A from the audience. Afternoon Tea will be provided with plenty of opportunity for networking throughout the afternoon and at our drinks reception in the Oyster Bar at 6pm. Registration at 2.30pm for 3pm commencement.